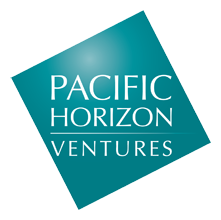 Pacific Horizon Ventures was formed in 1993 and is focused on the life sciences. devices, computational biology and genomics. accumulated an in-depth knowledge of the life sciences. opportunities that have particular promise. © Pacific Horizon Ventures, 2015.